Wolf Commercial Real Estate is a team of commercial real estate professionals that businesses rely on for transactions involving Marlton retail space. As the foremost Marlton commercial real estate broker, we are experts in Marlton retail space. The team of commercial real estate professionals at Wolf Commercial Real Estate takes management of our client’s property transactions to a new level. We stand with our clients both as an advisor and as a strategic partner that is invested in their long-term growth and success. No matter what the size of your property transaction, Wolf Commercial Real Estate is the Marlton commercial real estate broker you need on your team. Looking to buy or lease retail space in Marlton? The team at our Marlton commercial real estate brokerage firm has what it takes to find the Marlton retail space that is the best fit for your individual needs. At Wolf Commercial Real Estate, we ensure that the sale or lease terms for your new retail space in Marlton will complement your commercial real estate goals. We partner with clients from the beginning of the process to the very end. The result? A smooth transition into Marlton retail space that is ideal for you. Looking to sell or lease retail space in Marlton? Look no further. 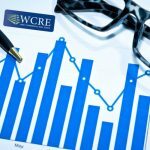 Wolf Commercial Real Estate, the premier Marlton commercial real estate broker, has a marketing strategy that is without rival. Listing your Marlton retail space with Wolf Commercial Real Estate gets you unparalleled exposure to interested buyers and tenants. We tailor our defined marketing strategy for each individual property and sub-market. The result? A proven course of action that successfully matches buyers and tenants with retail space in Marlton. Marlton retail space is very aggressively priced, and market trends show that the entire region’s retail business is ready for a massive rebound. 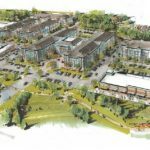 For more information, please contact the team at Wolf Commercial Real Estate, the Marlton commercial real estate broker that savvy buyers, sellers, owners and tenants turn to for all their Marlton commercial real estate needs. Wolf Commercial Real Estate, a leading Marlton commercial real estate broker with expertise in Marlton commercial real estate listings and services, now has available premier Marlton retail space for lease at The Shoppes and Offices at Renaissance Square Marlton NJ. This Marlton retail space for lease at The Shoppes and Offices at Renaissance Square Marlton NJ has up to +/- 6,387 square feet of Marlton retail space for lease. This retail space in Marlton is home to two full-service, sit-down restaurants. Individuals or corporations interesting in this Marlton retail space for lease will be joining Virtua health care system and Evesham Mortgage as fellow tenants. Please call for more information on the lease price for this retail space in Marlton and this Marlton retail space for lease has both anchor and in-line spaces available. This Marlton retail space for lease is being offered for immediate occupancy by Wolf Commercial Real Estate, a Marlton commercial real estate brokerage firm that specializes in Marlton commercial real estate listings and services. There is ample parking around all four sides of this Marlton retail space for lease and this Marlton retail space for lease is located on Route 70 and offers convenient access to both Route 73 and I-295. Leasing opportunities for this retail space in Marlton are now available through Wolf Commercial Real Estate, a leading Marlton commercial real estate broker with expertise in Marlton commercial real estate listings and services. This Marlton retail space for lease has new pylon and monument signage and there are 338 new luxury rental apartment units under construction adjacent to this Marlton retail space for lease. Join the multiple long-standing tenants at this Marlton retail space for lease. In addition, this retail space for lease in Marlton is fronted on Route 70 by an open space environment with new jogging paths, walkways, and a pond. For more information about this Marlton retail space for lease at The Shoppes and Offices at Renaissance Square Marlton NJ, or about any other Marlton commercial properties for sale or lease, please contact Jason M. Wolf (856-857-6301; jason.wolf@wolfcre.com) or Christopher R. Henderson (856-857-6337: chris.henderson@wolfcre.com) at Wolf Commercial Real Estate, a Marlton commercial real estate brokerage firm. CRE firms are increasingly more vulnerable to cybersecurity and privacy attacks. Preparation for attempted attacks is key in mitigating risk and lowering risk of legal and financial responsibility and exposure. Doing things like training your employees, vetting service providers, adding cybersecurity to your insurance and preparing incident response plans are a few ways to reduce or mitigate the risk. Wolf Commercial Real Estate, a leading Marlton commercial real estate brokerage firm with expertise in Marlton commercial real estate listings and services, now has available premier Marlton retail space for lease in the Allison Shopping Center at 27 North Maple Avenue Marlton NJ. This well-located Marlton retail building for lease is a newly renovated vibrant neighborhood shopping center located on heavily travelled Maple Avenue near the Route 70 intersection. The significant renovations at this retail space in Marlton NJ include a renovated exterior facade, storefronts and roof, as well as new store signs. This retail space for lease in Marlton NJ, which is ideal for use as a retail outlet or medical space, features aggressive rental rates and excellent local ownership. There are three storefronts ranging from 1,600 to 3,020 square feet available in this Marlton retail building for lease in the Allison Shopping Center at 27 North Maple Avenue Marlton NJ. One in-line storefront at this Marlton retail space for lease offers 1,600 square feet of retail space in Marlton NJ, while another offers 1,800 square feet of retail space for lease in Marlton NJ. This Marlton retail building for lease also has one end-cap storefront available with 3,020 square feet of retail space in Marlton NJ for lease through Wolf Commercial Real Estate, a Marlton commercial real estate broker that specializes in Marlton commercial real estate listings and services. The asking lease rate for this retail space in Marlton NJ is $15.00 – $17.00 sf/ NNN. 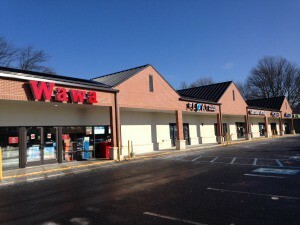 This retail space for lease in Marlton NJ is available for immediate occupancy. This Marlton retail space for lease in the Allison Shopping Center at 27 North Maple Avenue Marlton NJ is surrounded by several highly populated neighborhoods. Nearly 85,000 residents live within a three-mile radius of this retail space in Marlton NJ. Located immediately off Route 70, this Marlton retail building for lease has convenient and easy access to Route 73 and to downtown Marlton. This retail space for lease in Marlton NJ is being offered by Wolf Commercial Real Estate, a Marlton commercial real estate brokerage firm that specializes in Marlton commercial real estate listings and services. Parking is plentiful at this Marlton retail space for lease at a ratio of 6.5/1000 sf. This retail space in Marlton NJ provides tenants with both pylon and above-store signage. For more information about this Marlton retail space for lease in the Allison Shopping Center at 27 North Maple Avenue Marlton NJ or about any other Marlton commercial properties for sale or lease, please contact Jason Wolf (856-857-6301; jason.wolf@wolfcre.com) at Wolf Commercial Real Estate, a Marlton commercial real estate broker. Wolf Commercial Real Estate, a leading Marlton commercial real estate brokerage firm with expertise in Marlton commercial real estate listings and services, now has available highly visible Marlton retail space for sale or lease at 771 West Route 70 Marlton NJ. This well-located retail space in Marlton NJ features a 3,000-square-foot convenience store and a canopy gas station situated on approximately 1.06 acres in the desirable community of Marlton. A popular 7-11 convenience store and a busy Valero gas station are in operation at this retail space for sale in Marlton NJ. The asking sale price for this is retail space in Marlton NJ at 771 West Route 70 Marlton NJ is $2,800,000. For information on leasing opportunities for this retail space in Marlton NJ, please contact Wolf Commercial Real Estate, a Marlton commercial real estate broker that specializes in Marlton commercial real estate listings and services. In addition to the full canopy at the Valero gas station, this Marlton retail space for lease or sale features an individual enclosed work area, eight newly refurbished gas pumps, and three in-ground gas tanks with a 32,000-gallon capacity. The gas station at this retail space for sale in Marlton NJ pumps an average of 120,000 gallons of gas per month according to 2014 figures. Located at the corner of Route 70 and Cropwell Road, this Marlton retail space for sale or lease at 771 West Route 70 Marlton NJ is situated at a busy intersection near other popular retailers. This retail space for sale in Marlton NJ is surrounded by Staples, Aldi Market, Pep Boys and McDonald’s, and is in close proximity to many other retailers, including Shop-Rite, Kohl’s, Barnes & Noble and more. This retail space in Marlton NJ also offers convenient access to I-295, Route 73 and the New Jersey Turnpike. This Marlton retail space for lease or sale is available to the new owner/operator for immediate occupancy through Wolf Commercial Real Estate, a Marlton commercial real estate brokerage firm that specializes in Marlton commercial real estate listings and services. An average of more than 45,000 vehicles per day pass by this Marlton retail space for lease or sale at 771 West Route 70 Marlton NJ. There is ample parking at this Marlton retail space for sale or lease with 26 spaces available. More than 184,000 potential customers live within a five-mile radius of this retail space for sale in Marlton NJ through Wolf Commercial Real Estate, a Marlton commercial real estate broker that specializes in Marlton commercial real estate listings and services. The average household income in the same five-mile radius of this Marlton retail space for lease or sale is $106,465. For more information about this Marlton retail space for sale or lease at 771 West Route 70 Marlton NJ about any other Marlton commercial properties for sale or lease, please contact Christopher Henderson (856-857-6337; chris.henderson@wolfcre.com) at Wolf Commercial Real Estate, a Marlton commercial real estate brokerage firm. Wolf Commercial Real Estate, a premier Marlton commercial real estate broker that specializes in Marlton commercial real estate listings and services, is now offering well-located Marlton retail space for lease in the Allison Shopping Center at 27 North Maple Avenue Marlton NJ. Significant exterior renovations are ongoing at this Marlton retail building for lease, including a new shopping center facade, the addition of a corner tower and new signage for each storefront. This retail space in Marlton NJ is an excellent opportunity for use as a retail outlet or medical space. This Marlton retail building for lease has 1,600 to 6,620 square feet of contiguous storefront space available. The end cap unit that formerly housed a WaWa convenience store also is available in this Marlton retail space for lease through Wolf Commercial Real Estate, a Marlton commercial real estate brokerage firm that specializes in Marlton commercial real estate listings and services. The long-standing tenants in this retail space for lease in Marlton NJ at 27 North Maple Avenue Marlton NJ include a pizzeria, a florist and a beauty salon. The asking lease rate for this retail space in Marlton NJ is $13.00 per square foot NNN. This Marlton retail space for lease for lease is available for immediate occupancy. Several highly populated neighborhoods surround the Allison Shopping Center where this Marlton retail building for lease is located. Nearly 85,000 potential customers reside within three miles of this retail space for lease in Marlton NJ through Wolf Commercial Real Estate, a Marlton commercial real estate broker that specializes in Marlton commercial real estate listings and services. Just a few minutes from downtown Marlton, this Marlton retail space for lease sits along busy Maple Avenue near the intersection of Route 70 (the Marlton Pike), providing easy access to Route 70 and Route 73, just one block west. At a ratio of 6.5/1000 sf, there is ample parking at this Marlton retail building for lease. An average of almost 18,000 vehicles per day pass by the Allison Shopping Center at 27 North Maple Avenue Marlton NJ. There is pylon and above-store signage available at this retail space in Marlton NJ. For more information about this retail space for lease in Marlton NJ in the Allison Shopping Center at 27 North Maple Avenue Marlton NJ or about any other Marlton commercial properties for sale or lease, please contact Jason Wolf (856-857-6301; jason.wolf@wolfcre.com) at Wolf Commercial Real Estate, a Marlton commercial real estate brokerage firm. Wolf Commercial Real Estate, a Marlton commercial real estate brokerage firm that specializes in Marlton commercial real estate listings and services, is now offering well-located Marlton retail space for lease in the Allison Shopping Center at 27 North Maple Avenue Marlton NJ. Extensive exterior renovations that will alter the design of this premier retail space in Marlton are planned for this busy shopping center. The changes include the addition of a corner tower and new signage for the retail outlets. This Marlton retail space for lease at the Allison Shopping Center at 27 North Maple Avenue Marlton NJ is available for lease through Wolf Commercial Real Estate, a Marlton commercial real estate broker that specializes in Marlton commercial real estate listings and services. The units available for lease in this retail space in 08053 range from 1,425 to 3,600 square feet. The Allison Shopping Center owners also can reconfigure the units in this Marlton retail building for lease to provide up to 19,000 square feet for a large-block occupant. The asking lease rate for this retail space in 08053 at 27 North Maple Avenue Marlton NJ is $12 per square foot NNN. This retail space in Marlton has both building and pylon signage. This Marlton retail space for lease is available for immediate occupancy. Several long-term, well-patronized tenants currently operate retail operations in this Marlton retail building for lease. Current tenants include a pizzeria, a florist and a convenience store. 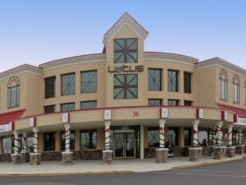 This retail space in Marlton is surrounded by densely populated housing developments with nearly 85,000 potential customers residing within a three-mile radius of this Marlton retail space for lease through Wolf Commercial Real Estate, a Marlton commercial real estate broker that specializes in Marlton commercial real estate listings and services. Located near the crossroads of North Maple Avenue and Route 70 in the Allison Shopping Center, this retail space in 08053 has easy access to and both Route 70 and to Route 73 one block to the west. There is abundant parking at this Marlton retail building for lease at a ratio of 6.5/1000 sf. On average, almost 18,000 vehicles pass by the Allison Shopping Center at 27 North Maple Avenue Marlton NJ. For more information about this retail space in Marlton in the Allison Shopping Center at 27 North Maple Avenue Marlton NJ or about any other Marlton commercial properties for sale or lease, please contact Jason Wolf (856-857-6301; jason.wolf@wolfcre.com) at Wolf Commercial Real Estate, the foremost Marlton commercial real estate broker. 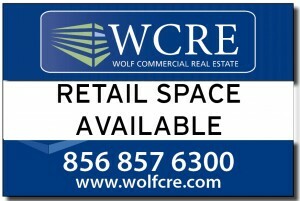 Wolf Commercial Real Estate is a premier Marlton commercial real estate brokerage firm that provides a full range of Marlton commercial real estate listings and services, marketing commercial offices, medical properties, industrial properties, land properties, retail buildings and other Marlton commercial properties for buyers, tenants, investors and sellers. Please visit our websites for a full listing of Marlton commercial properties for lease or sale through our Marlton commercial real estate brokerage firm. Wolf Commercial Real Estate, a Marlton commercial real estate broker that specializes in Marlton commercial real estate listings and services, is now offering premier Marlton retail space for lease in the Allison Shopping Center at 27 North Maple Avenue Marlton NJ. This retail space in Marlton is scheduled to undergo exterior renovations that will alter the shopping center’s design. Among these changes are the addition of a corner tower and new signage for each retail outlet. This Marlton retail space for lease at the Allison Shopping Center at 27 North Maple Avenue Marlton NJ is available for lease through Wolf Commercial Real Estate, a Marlton commercial real estate brokerage firm that specializes in Marlton commercial real estate listings and services. The units for lease in this retail space in Marlton are available in sizes ranging from 1,425 to 3,600 square feet. In addition, the owners of the Allison Shopping Center can reconfigure the space to provide as much as 19,000 square feet for a large-block occupant in this retail space in 08053. The asking rate for this Marlton retail space for lease at 27 North Maple Avenue Marlton NJ is $12 per square foot NNN. This retail space in 08053 has both building and pylon signage. This retail space in Marlton is available for immediate occupancy from Wolf Commercial Real Estate, a leading Marlton commercial real estate broker that specializes in Marlton commercial real estate listings and services. There are several long-term, well-patronized tenants currently operating in this retail space in Marlton for lease. These tenants include a pizzeria, a florist and a convenience store. This retail space in 08053 is in the midst of highly populated housing developments and there are 85,000 potential customers living within a three-mile radius of this Marlton retail space for lease through Wolf Commercial Real Estate, a Marlton commercial real estate broker. Conveniently located near the crossroads of North Maple Avenue and Route 70 in the Allison Shopping Center, this retail space in Marlton has easy access to and both Route 70 and Route 73 one block to the west. Parking is plentiful in this retail space in 08053 at a ratio of 6.5/1000 sf. An average of nearly 18,000 vehicles a day drive by the Allison Shopping Center at 27 North Maple Avenue Marlton NJ. For more information about this Marlton retail space for lease in the Allison Shopping Center at 27 North Maple Avenue Marlton NJ or about any other Marlton commercial properties for sale or lease, please contact Jason Wolf (856-857-6301; jason.wolf@wolfcre.com) at Wolf Commercial Real Estate, the foremost Marlton commercial real estate broker.